Food fraud is not a shocking headline to you, at all. In fact, it has been around for over 2000 years. The deliberate tampering and misrepresentation of food are alarming yet familiar. It’s disgusting how adulterers would jeopardize your health for monetary gains. Or should I say, financial loots? In fact, scandals surrounding food fraud are many and devastating. For example, the 2008 toxic milk fraud of China took the life of six children. Infant milk formula was filled with a chemical called melamine. Moreover, beyond stats, it hospitalized more than a thousand people. Over the past few years, technology has curbed such petty crimes and food adulteration. We cannot rule out its incredible range of success stories. How will technology help fight food fraud? Let’s dive right into it. There has been a sharp rise in food fraud in the last decade. In the recent horsemeat scandal of Europe, several people lost their lives. Many more were hospitalized with permanent ailments. 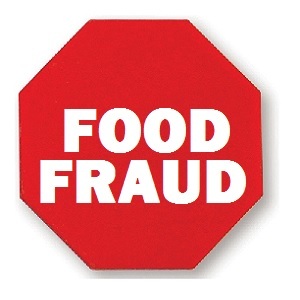 The foodstuffs generally prone to fraud are seafood, liquids, spices, fruits, vegetables, and meat products. On the bright side of the story, it definitely increased awareness among the people. According to a report released by Dalhousie University, a staggering 60% of the Canadians are anxious about food fraud. On the other hand, 40% firmly believe that have been victims of this terror. Indeed, it is highly alarming and calls for urgent safety measures. Food fraud has taken grown into various forms and types. From contamination to adulteration, the damages are far-reaching. Also, adulterers often substitute an ingredient with a cheaper one. When replaced, this cheap ingredient can cost your health and even your life. It is one of the most notable cases in recent times. Situated in southwestern Ontario, Mucci Farms continued its fraudulent activities for a long time. Branding Mexican tomatoes as Canadian wasn’t a good idea. Therefore, they had to pay a $1.5 million fine for the misrepresentation. They tried passing it off as unintentional and blamed it on their computers. Of course, they couldn’t fool the authorities. In yet another upsetting story, Cericola Farms was found guilty of incorrect organic labeling. The number of cases is piling up at quite an alarming rate. The Canadian Food Inspection Agency got around 40 complaints in 2016. The statistic increased in the subsequent year. There are many who still don’t understand how devastating food fraud is. They think it’s limited to a few isolated cases. However, the impact on health and economy is acutely negative. Therefore, conducting awareness programs must be on your to-do list. The primary driving force behind any food industry is trust. If you lose faith in the product, the company indeed won’t thrive. This is especially true for any industry manufacturing high-quality food products. Although there are several ethnically big food companies, it only takes one strike for ruining the reputation. Food fraud is undoubtedly responsible for several cases of allergies. In addition, you can also find examples where people suffered from serious health issues. Although the number is low, people lost lives too. Also, several people suffered from a loss of function of certain body parts. For example, 60-year-old Haram Kaur of India lost her eyesight. After an investigation, it was found that argemone in her edible oil was responsible. Can Technology Defeat Food Fraud? Partially, yes. Of course, technology also needs your efforts and dedication for successfully stopping food fraud. Out of the currently available options, Blockchain technology is a standout. Several restaurants and grocers are going for Blockchain due to several encouraging factors. With this technology, you get to track the entire journey of the food. From the farm to your table, you get to know everything. Interestingly, you can follow every ingredient that goes into the food. Of course, this comes as a massive relief for the food industry. Because of Blockchain, people get to make informed decisions about their food choices. Once you provide complete transparency, you immediately win your consumer’s trust. Many companies and research facilities are also developing interesting portable technologies. With the help of these, you get to verify the food labels. Consumers love this ability to inspect their food with the help of technology. For example, you can validate if your carton of olive oil is really from Sicily. Fascinating, right? In spite of being powerful and innovative, technology is still a partial solution to food fraud. You need to step up as well and fight alongside tech-improvements. According to a Label Insight Study report, 83% of people are concerned about what exactly is in their food. The more you ask, the better you can plan your activities. Interesting enough, the first accounts of food fraud are from the ancient Roman Empire. Surely, times have changed dramatically since then. Food fraud is still around and is growing due to our own negligence. Yes, technology is your biggest help in the fight against food fraud. However, you need to play an equally important role. Soon, consumers will have the most potent regulatory tools in the food industry. You will be able to monitor the past, present, and future what you consume. After all, food is an incredibly important part of our lives. Therefore, hold on and stick to the necessary precautions. Believe in tech and believe in yourself.